The ‘QCA Search Service’ is a joint venture between the Quoted Companies Alliance and Moon Executive Search, a leading executive recruitment and business consulting firm. The QCA Search Service offering is exclusively for QCA members and is confidential, discrete and tailored to each individual or company scenario. 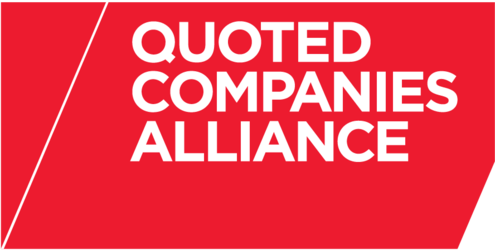 The Quoted Companies Alliance is an independent membership organisation that champions the interests of small to mid-size quoted companies. The value of membership to the QCA to the UK economy is vast – as is their potential. There are nearly 2,000 small and mid-size quoted companies in the UK, representing 85% of all quoted companies. They employ approximately 1.4 million people, representing 5.5% of private sector employment in the UK. The QCA goal is to create an environment where that potential is fulfilled. The QCA identifies the issues that matter to our members and to keep them informed. QCA interact to build the understanding and connections that help their members stay ahead. The influence QCA has, the influence they use and the influence they grow ensures that QCA members always benefit from the impact of their initiatives. Why does QCA matter to Moon Executive Search? Vanessa Moon Director of Moon Exec Search said, ‘We have a long history with The Quoted Companies Alliance and this was born out of the fact that a vast majority of our clients are listed (FTSE and AIM) and we also have great links within the advisory network, so for us, the opportunity to offer such a bespoke service to members was not to be missed.’ We are also seeing great interest in companies who are considering a listing and that is why we are so pleased to be part of this initiative’. Tim Ward CEO of the QCA said ‘We have had a long and successful friendship with Moon Consulting and we were struck by their open, friendly and professional attitude, so it was an easy offering to agree. They have also been beneficial in supporting my visits to the South West, which I am intending to do again in 2019’.